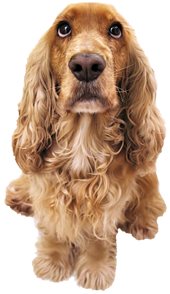 Compassionate Care Veterinary, PC is proud to serve the Norwich, NY area for everything pet-related. Our veterinary clinic and animal hospital is run by licensed and experienced veterinarians, Dr. Stevi Culverwell and Dr. Matthew Culverwell. Our well trained team is committed to educating our clients in how to keep their pets healthy year round, with good nutrition and exercise. We stay on top of the latest advances in veterinarian technology including the most up-to-date Sedacal Digital Radiographs, Thermal Imaging, Companion Laser Therapy, Quick Scan Ultrasound, Professional Dental Cleaning Unit and In- Clinic Labatory and Pharmacy. Pets are treated with loving care in every check-up, procedure, or surgery as if they are our own. Our pets are our family.